Ever wondered what you should be doing on album release week? Here is a recent question in our Facebook Group for Outerloop Coaching students was a GREAT one. This is a HUGE question – and it’s a monumental effort when doing it yourself. The short, UNHELPFUL answer is “execute your plan”. The slightly longer, BARELY BETTER answer is “do everything, and don’t stop”. But beyond these I would greatly recommend reaching out to your already warm contacts – peers in your community, members of media, anyone who has shown interest in your art before. Ask them to post to their networks on your behalf. Send them a little bit of text they can either copy and paste on their socials or edit to suit their own voice. Remember to use bit.ly or similar links. The key to release week is, as you put it, drive momentum. Try to utilize your contacts on your behalf (and be sure to repay the favour later!). Build an army from your friends’ communities rather than trying to build your own. On release week, if you don’t have an army of your own already, it’s too late! But it’s not too late to get streams and clicks from people who trust the taste of your friends and contacts. Content, content, content. Keep producing content that has a chance of building anticipation or gaining interest. Don’t worry if it isn’t perfect, as long as it is on brand (meaning, you look and sound like you want the world to perceive you). Lastly, make sure you are ready for release day itself (this Friday?!?). 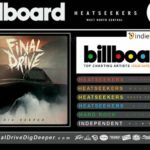 Ice Nine Kills posted to Facebook 5 times on release date, each with a different graphic. They posted to Instagram twice – once with a video and once with another graphic. Make sure your purchase links are ready and working. Have links ready for everywhere someone buys. For example, I subscribe to Google Play Music because I’m a Google slave. That means, Spotify links don’t do much for me. Nor do Itunes links. I may be a minority – maybe a HUGE minority, but that’s where I am, and you need to meet your customers where THEY are, not expect them to come to you. Keep your head above water on album release week! I know when I was a musician on a small indie label I took the week off work on release week… and still had no idea what to do with myself. I thought I would be calling record stores and radio stations and local media… but I ended up staring at a wall, just a bundle of nerves. Fortunately, I had an album release party to plan for so I felt SOMEWHAT productive but… I remember exactly the experience you’re going through. Sorry for the long answer but I hope it helps. 1) Get contacts to share your music 2) Create last-minute content 3) Prep for release day itself. 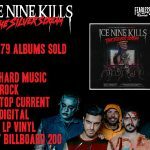 And if you don’t have it already, grab Release It Right or Release It Right – Silver Scream Edition so you can prepare your album release the right way!